Members of Wisconsin's Sikh community hold a candle-light vigil for six people killed in an attack a day earlier. You are in a temple, a safe, sacred place, preparing for a morning service. In the kitchen, you are busy cooking food for lunch, while others read scriptures and recite prayers. Friends begin to gather for the soon-to-start service. At the front door, you smile at the next man who enters. He does not smile back. Instead, he greets you with hateful stare and bullets from his gun. Such was the scene Sunday at a Sikh gurudwara in Oak Creek, Wis., just south of Milwaukee, where a gunman, Wade Michael Page, killed six and critically injured three others before being shot down by law enforcement agents. As Page began his shooting spree, terrified worshippers sought shelter in bathrooms and prayer rooms. Rumors of a hostage situation surfaced, and those trapped inside asked loved ones outside not to text or call their cell phones, for fear that the phone ring might give away their hiding place. The first police officer to arrive on the scene stopped to tend to a victim outside the gurudwara. He looked up to find the shooter pointing his gun directly at him, and then took several bullets to his upper body. He waved the next set of officers into the temple, encouraging them to help others even as he bled. That magnanimity is a common theme among the stories of victims and survivors of the Wisconsin shootings. Amidst terror and confusion, Sikhs offered food and water to the growing crowd of police and news reporters outside the gurudwara as part of langar — the Sikh practice of feeding all visitors to the house of worship. We now know that Page was part of a neo-Nazi movement. But let us not take these moments to look into the heart of hate. May we instead shed light on a religious tradition of peace and generosity, the kind of generosity that inspired distraught worshippers to feed others just minutes after they had been brutally attacked. The Sikh community has been one of welcome and hospitality since its founding in India 500 years ago. With their belief in a supreme Creator and a deep respect for all human beings, Sikhs place strong emphasis on equality, religious freedom, human rights, and justice. Sikhs from India began immigrating to the United States in the late 19th century and currently the Sikh popuation in America numbers about 314,000 and 30 million worldwide. Today, Sikhs are successful business people, active community members, and advocates for social justice. Their love for all humanity inspires the hospitality we witnessed so vividly outside that Oak Creek gurudwara, though it has not protected them from being the targets of numerous post-9/11 hate crimes. In living out that hospitality, Sikhs remind us of our own quintessentially American generosity. A core American idea is that we welcome contributions from all different groups and build cooperation between people of diverse backgrounds. It’s the theme of my (Eboo’s) new book, Sacred Ground: Pluralism, Prejudice, and the Promise of America. While today we hear news stories of division and hate, American history tells a different story. The shooting in Oak Creek reminds us that the forces of prejudice are loud. They sling bigoted slurs and occasionally bring 9mm guns to places of worship. But we are not a country of Wade Michael Pages. We are a country where Jane Addams welcomed Jewish and Catholic immigrants streaming in from Eastern Europe in the 19th century as citizens, not as strangers. We are a country where a young black preacher, Martin Luther King, Jr., learned nonviolence not only from Jesus Christ, but also from an Indian Hindu named Gandhi and from a Buddhist monk named Thich Nhat Hanh. And we must be a country where a new generation of leaders rises up to write the next chapter in the glorious story of American pluralism, or else we will forfeit the territory to those who would shoot at our neighbors while they worship. Groups in Madison, Minneapolis, and Detroit have held vigils in solidarity with those affected by the shooting, and survivors of the recent shooting in Aurora, Colo., have reached out to Sikh victims via social media. As Sacred Ground discusses, there have been periods in American history when the staunch opponents of pluralism have won the battle. But they didn’t win the war because irrepressible people of good faith refused to surrender their nation to such fear and hatred. Let us remember that we cannot cede this moment in our history to the forces of intolerance. And may we draw inspiration from our Sikh neighbors as we build a world where people of all backgrounds are honored for their unique contributions to America. Eboo Patel is founder and executive director of the Interfaith Youth Core, a Chicago-based international nonprofit that promotes interfaith cooperation. His blog, The Faith Divide, explores what drives faiths apart and what brings them together. 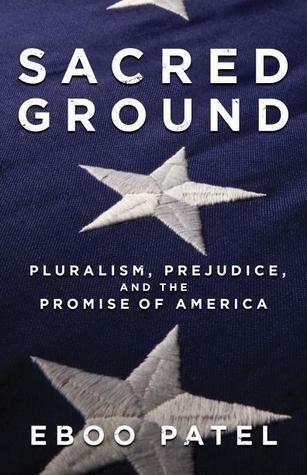 His latest book is Sacred Ground: Pluralism, Prejudice, and the Promise of America. Hana Suckstorff is a communications associate for the Interfaith Youth Core. Image: Members of Wisconsin's Sikh community hold a candle-light vigil for six people killed in an attack the day before on a Wisconsin Sikh temple on August 6, 2012 in Brookfield, Wis. Hundreds of mourners gathered at the Sikh Religious Society of Wisconsin — a gurudwara 25 miles from the scene of the August 5 bloodshed — to honor the six people killed and three critically wounded in what police are calling a 'possible domestic terrorism' case. Photo by MIRA OBERMAN/AFP/GettyImages.